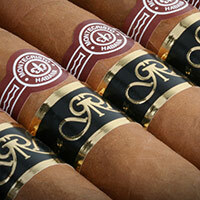 MONTECRISTO IS THE BEST KNOWN AND PROBABLY THE MOST APPRECIATED BRAND OF HABANOS THROUGHOUT THE WORLD. It forms the benchmark for many Habanos smokers against which other brands are judged. 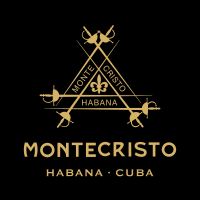 The name comes from the hero of Alexandre Dumas’ famous novel “The Count of Montecristo”, which was a firm favourite amongst the Torcedores ( Cigar Makers) at the factory in Havana where it was founded in 1935. Today the range, which was originally composed of a narrow assortment strictly numbered from 1 to 5, covers every level of the cigar enthusiasts’ needs from the majestic Montecristo A to the tiny Joyita. In 2009, for the first time, born in Montecristo a new line: Montecristo Open, which incorporates 4 new vitolas on the brand: Eagle (54 x 150 mm), Regata (46 x 135mm), Master (50 x 124 mm) and Junior (38 x 110mm), designed to satisfy all Montecristo lovers as well as to welcome the new generations who enjoy the pleasures of living “alfresco”. Montecristo’s perfectly balanced blend is created exclusively with selected leaves from the Vuelta Abajo region, home of the finest tobaccos in the world. Its distinctive medium to full flavour and distinguished aroma appeal equally to both new and experienced smokers. All Montecristo sizes are now and always have been “totalmente a mano, tripa larga” —totally hand made, long filler.